So, I haven’t been able to shake the feeling that I hate the nursery mural. This morning, I walked in to stare at it and hate it and it hit me. The orange color just isn’t right! It is way too bright! It doesn’t match the stripes or even any of the other giraffe spots! How could I make this mistake????? So, I fixed it tonight! I am so much happier with it and it is perfect! See the difference?? It is subtle, but it makes all the difference. Crisis averted! Project finished! You are so right. Looks great. I didn’t notice that at first, but it does look better 🙂 Great call! B, it looks GREAT. I love the giraffes (and it does look better the lighter orange). 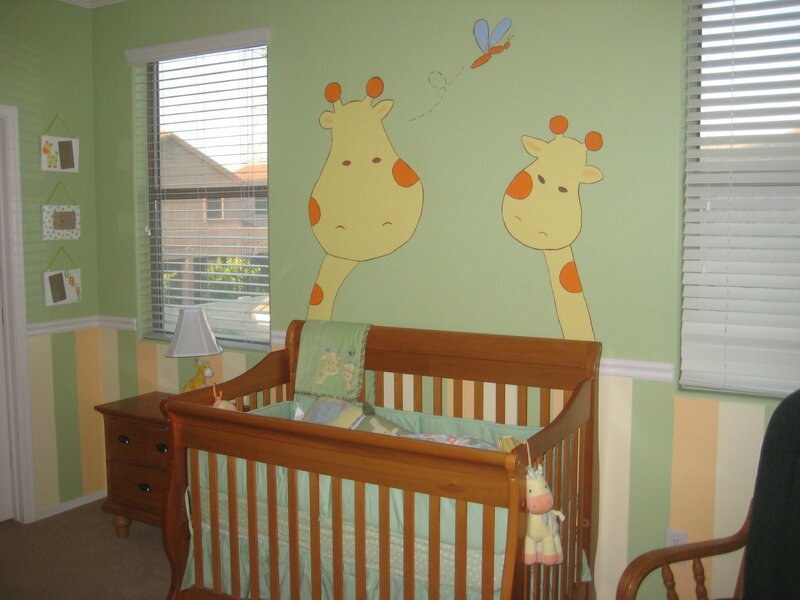 Your nursery is too cute! I can’t wait to see baby laying in that sweet bed…. I do see the change and it looks great! 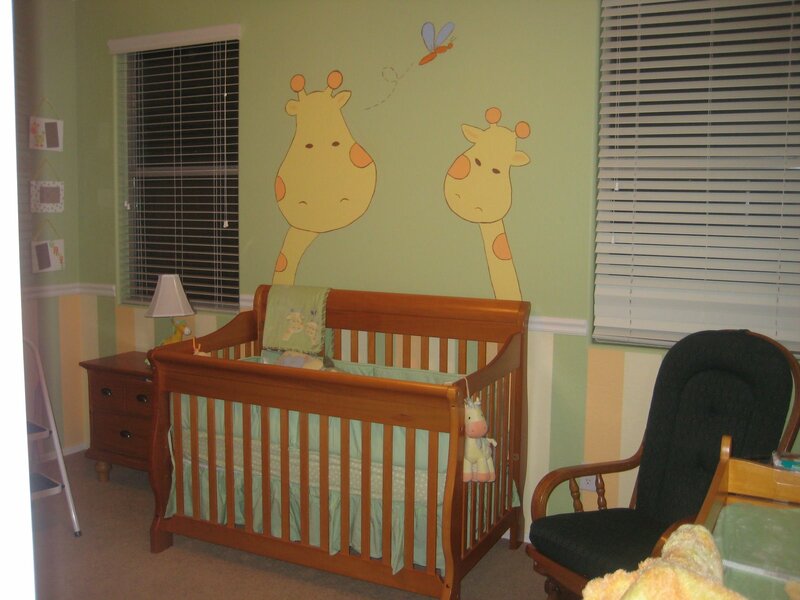 I love your nursery, its so cute!!!!! So cute and inviting! As your baby grows up, they will come to LOVE those giraffes. They will be friends and you’ll wake up on lazy day Saturday mornings and hear the baby talking to them, telling them about their dreams and their plans for the day.It will be your favorite conversation to eavsdrop on, ever.The room looks perfect! I can see the difference too! Good job!! Love the nursery. I have the perfect teether for you!Sophie the giraffe:http://www.dwellsmart.com/Products/Toys-and-Games/Sophie-the-Giraffeshe varies in price but I hear she is worth the $$!! I never would have noticed, but you’re right, it does look better. I’m so glad you’re happy with it now!! Good call! It looked fine either way but the lighter orange is definitely more asthetically pleasing. Very cute mural…and yes, I like the lighter orange, too!